Global, regional and South-South programme evaluations assess the performance and intended and achieved results of those programmes. They are intended to reinforce the substantive accountability of UNDP to the Executive Board, and will be timed to contribute to the preparation and approval of the next programme. 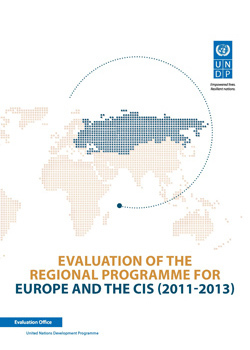 This evaluation covered the Regional Programme for Europe and the Commonwealth of Independent States (CIS) 2011-2013, implemented by the UNDP Regional Bureau for Europe and the CIS, through its Regional Centre in Bratislava. 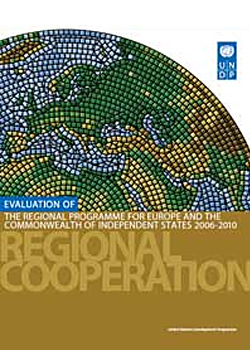 This evaluation assessed the performance, results and strategic positioning of UNDP’s Regional Programme for Europe and the Commonwealth of Independent States, 2006-2010.